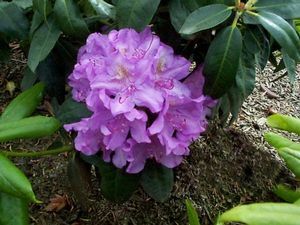 Hardy evergreen shrub valued for its spring display of vibrant, rose-lilac flowers. Flowers contrast nicely with the dark green foliage. Ideal in mass plantings.